Some classic photography on exhibit at the end of March. Gitterman Gallery is honored to present the first solo exhibition of vintage black and white photographs by Alma Lavenson (1897-1989) in New York. The exhibition will open with a reception on Thursday, March 28th from 6 to 8 p.m. and continue through Saturday, June 1st. This exhibition includes rare vintage gelatin silver prints from the 1920’s through the 1940’s that reveal Lavenson’s evolution from pictorialism into modernism and features many prints never before available for sale. Lavenson distinguished herself from other West Coast modernists by focusing her camera primarily on architectural and industrial subjects. 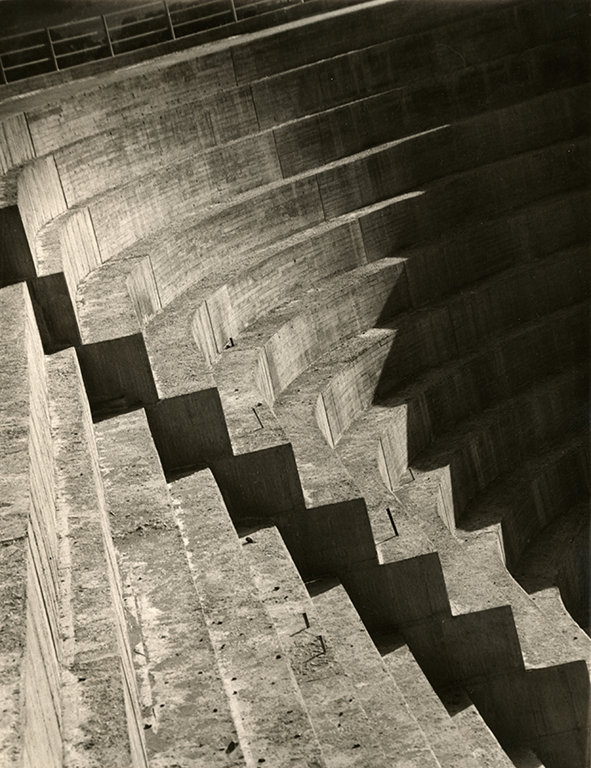 Lavenson’s photographs pay tribute to her subjects: she emphasized their inherent form and pattern with the structure of her compositions and focus on light and shadow.